Spare Parts Puppet Theatre is offering a limited number of places for a unique two-week, puppetry training intensive. This training intensive will be led by international guest artist Cariad Astles, exclusively visiting Spare Parts from the UK for this course, along with the company’s Associate Director Michael Barlow and performer/ director Rebecca Bradley. This is a rare and exclusive opportunity to learn from experienced and passionate puppetry artists in this highly specialised art form. The clown, the object and rhythm. Clown and Puppetry are a beautiful marriage as both art forms spring from the fertile ground of imaginative play. Participants will be guided through a creative process of building presence, focus, and character, cultivating flight of the imagination, and exploring the intimacy of relationships to audience, objects, and fellow performers. Rebecca’s teaching will draw on her extensive background in performance, clowning, puppetry, and music. An exciting addition to this program is an introduction to TaKeTiNa, an embodied practice that uses rhythm as the vehicle for exploring presence and your relationship to object, time and space. Spare Parts artistic leader Michael Barlow will introduce the main forms of puppetry and the principles of animation used in performance. Rigorous skills training will be matched with ample opportunities for experimentation and in-studio performance making. Performer/Puppet relationship, vocal work for puppetry, visual dramaturgy and the contemporary context of the art form will be investigated. Imaginative Transactions: Performing and Directing the inanimate. This week will focus on one of the most exciting realms of contemporary puppetry, Object Theatre, with work encompassing skills training, performance making and directing. The week will firstly examine the power and potential of objects in performance, whether used in their original form as objects, or as anthropomorphic puppets drawn from objects; and will move on to an elaboration of object puppetry in collaboration with selected poems. The synergy between poetry and puppetry is particularly fertile as both are symbolic and stylised forms. Participants will work collaboratively on the creation of short puppetry and poetry pieces which will be shared at the end of the week’s work. Applications are now open, closing at midnight on Sunday 28 May 2017. Applicants will be notified of the outcome of their EOI in early June 2017. Cariad is Cour se Leader for the BA Theatre Practice (Puppetry: Design and Performance) at the Royal Central School of Speech and Drama, London and Lecturer in Drama at the University of Exeter, UK. She specialises in puppetry performance and directing for puppet theatre; in the use of objects and puppets, and puppetry in relation to identity. As a puppet theatre director, she has recently worked for Med Theatre and the Northcott Theatre in the UK. As a performer, she is currently developing a cross-disciplinary project on puppetry, poetry, loss and memory with a poet. Cariad trained as a puppeteer with Travesura Theatre, run by Chilean exiles in London, before further study in puppetry at the Institut International de la Marionnette, France. She was a performer/ puppeteer for several years at the Little Angel Theatre, with Sue Buckmaster of Theatre Rites and with Puppetcraft, among other companies. She is a core collaborator with the Catalan group Irenia Jocs de Pau, a group of artists working on themes of peace, for whom she has run workshops in puppetry for peace education and development. Irenia was awarded the United Nations Prize for Intercultural Innovation in 2012 for its work in intercultural training. Cariad frequently runs training workshops in the UK and overseas, most recently in China, Chile and Spain. 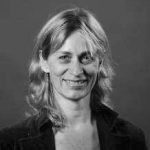 She is director of the research group CROPP (Centre for Research into Puppets and Objects in Performance) and President of the UNIMA (Union Internationale de la Marionnette) Research Commission. Michael is a director, writer and performer who joined Spare Parts as a trainee puppeteer in 1992. He trained extensively in puppetry technique with Noriko Nishimoto and L. Peter Wilson, and in contemporary mime technique with Kriszta Bodonyi at Hush mime school. As a performer, he has toured extensively for the company, including The Deep, The Bugalugs Bum Thief and The Velveteen Rabbit. As a director, his productions have been presented nationallyThe Little Prince and The Night Zoo, and as an adapting writer/animator The Arrival. Michael’s work reinterprets classical puppetry technique in new frameworks, recontextualising puppets, objects and performers. 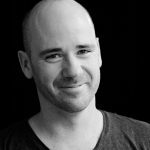 He is closely involved with training programs for young and emerging artists through the FirstHand program and as a tutor for WAAPA. 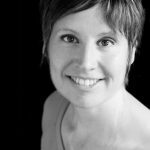 Rebecca is a theatre maker and a performer with a passion for music, contemporary clown, puppetry, and physical theatre. With a Bachelor of Arts from Murdoch University (1998) WA, Rebecca has spent much of her career traveling throughout Australia, Europe, Indonesia, and Latin America, working, training and teaching in her field. In 2001 she moved to Europe where she trained in Shakespeare at L.A.M.D.A. and spent 4 years working in Spain performing educational theatre and studying Clown. Rebecca began working with Spare Parts Puppet Theatre as a facilitator and puppeteer/performer on her return from Europe in 2005. Her credits with the company include Tim Winton’s Blue Back (2010), The Velveteen Rabbit(2012), Splat! (2013), Shaun Tan’s Tales from Outer Suburbia (2013) Moominpappa At Sea (2014) and Farm (2014) for which she received a nomination for best supporting actress from Performing Arts WA. In 2006 she became the co-director of Flying Heart Productions, and has since produced numerous works combining live music and contemporary clowning. In 2010 she became a core artist and musician for Sensorium Theatre and has since toured extensively with them. She has worked independently with international companies such as Forum Teatro (Spain) and Compania Aerea Teatro (Spain/Argentina) as well as Teatro de Los Sentidos, (Spain) and Les Commando Percu (France) for the Perth international Festival. In 2014 Rebecca became a certified teacher of TaKeTiNa, a unique process for self-development through rhythm. She is currently also a qualified yoga teacher.